Shelby St. and Virginia Ave.
Just southeast of downtown, our funky Indianapolis neighborhood has a world of independent restaurants, live music and performance, working artists with a vibrant arts scene, and one-of-a-kind stores that sell food, fashion, comics, musical instruments, fresh flowers, and so much more. 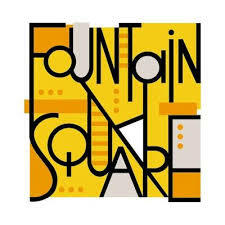 Visit Fountain Square any time of the day or night, and find out why our neighborhood is anything but…square! We've got the full line-up of the 60+ local artists performing at Tonic Ball this year covering ABBA, Beyoncé, Elton John, Johnny Cash, and Pearl Jam at the annual benefit for Second Helpings. Ignore the cold and warm up with any of these 10 choices guaranteed to help get you in a Halloween frame of mind. Fall has officially arrived: the temperatures have dropped, the leaves are beginning to turn yellow, orange, and red, there’s a Colts game every weekend, and pumpkin spice everything abounds. Here are ten great ways to spend the next few days around Indianapolis soaking in all that autumn goodness. Two events this weekend combine art and food. Indy’s finest chefs will serve plates made by Fountain Square Clay Center potters during Setting a Place. On the same day, at Art Dish at the Harrison Center’s main gallery pairs a delicious meal with an art talk. In recent years, New York City’s Quay Dash has proven she’s a force to be reckoned with on all sides of the globe. Saturday, Oct. 6, the transgender rap icon will make her way to Indianapolis gracing the Pioneer stage as part of the monthly Low Pone queer dance party. It's Indy Beer Week--seven days set aside to celebrate craft brew and raise funds for charity. After last weekend’s total washout, we’re being rewarded with glorious weather this time around, and that’s good news for two of the city’s largest festivals--Irish Fest and Jazz Fest. Two Indy art exhibitions take on the upheaval in the Middle East with a focus on recent events in Mosul, Iraq. We stopped by for their First Friday openings. Arts Editor Dan Grossman reflects on the state of the arts in the Circle City and the upcoming Indianapolis arts season. NUVO Editors recommend 20 notable art galleries and exhibit spaces in Indianapolis you should know about on First Fridays and the rest of the month. NUVO Editors recommend 20 local live music venues where you're sure to find great shows this Fall. NUVO Editors pick the 20 Indianapolis live music performances they're already trying to score tickets for this Fall. Hip-hop legend headed to Indianapolis for Chreece hip-hop festival.